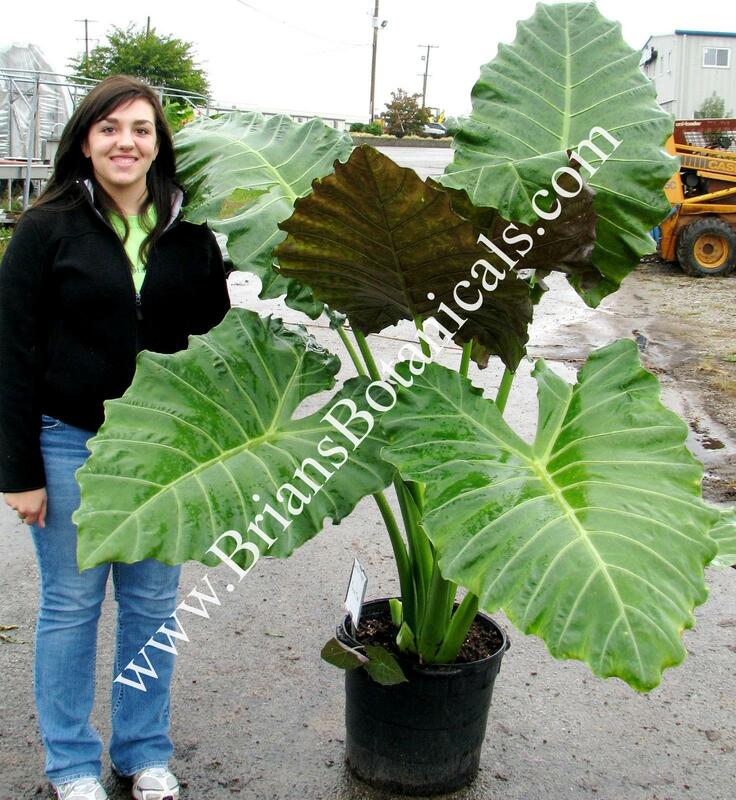 Alocasia Mayan Mask?PP24391 is a new colorful new hybrid produced by Brian Williams. This plant has large green leaves with white veins and dark maroon/purple undersides. The edges of the leaves have a wave ruffling and stems are dark green. This plant can grow to 6 to 8 feet tall and has a very robust look. It does great as a large container plant for the porch ordeck or as a tropical landscape plant. It can also be grown as a large indoor plant if you have the room. It is cold hardy to zone 8 maybe zone 7b if mulched. The plants can form small trunks with age and are a show stopper in my garden. The plants offered were grown and rooted in 4 1/2 inch pots.